Nitecore intellicharger i2 universal charger, the gold standard for vapers, works with any type of batteries used by mods, and more. 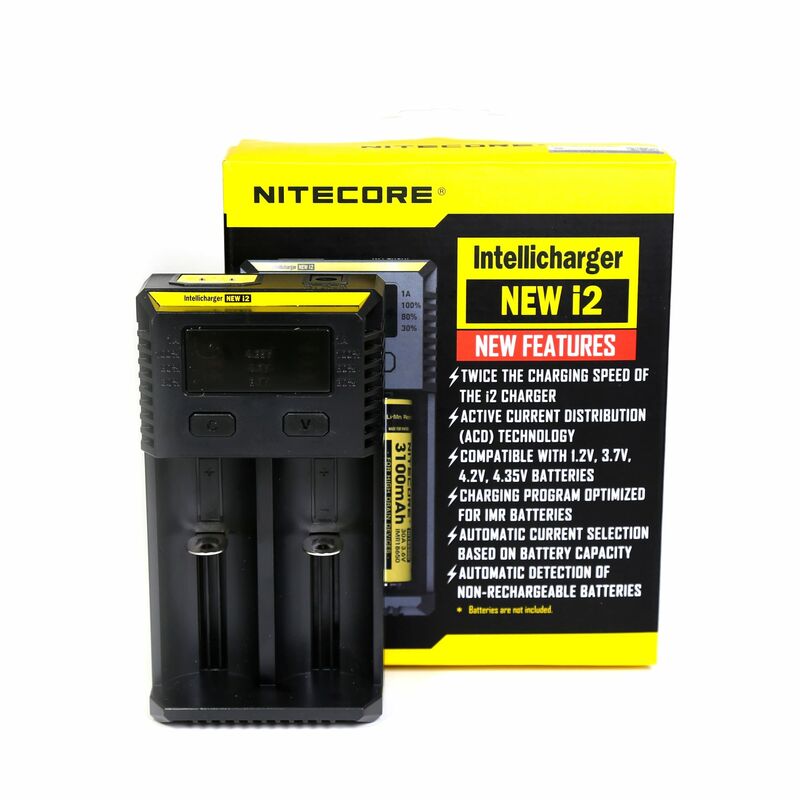 The Nitecore Intellicharger i2 is a universal, automatic smart-charger compatible with almost all types of rechargeable batteries thus eliminating the need to own several chargers. The i2 is able to automatically identify Li-ion, Ni-MH and Ni-Cd rechargeable batteries and apply an appropriate charging mode (Constant Charge Current (CC), Constant Charge Voltage (CV) and Trickle Charge). Each of the i2’s two microcomputer-controlled charging slots is capable of monitoring and charging batteries independently. Additionally, yellow and blue power/charging status indicator lights could visibly indicate battery status and charging process. 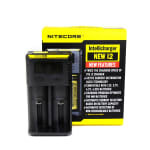 For all those functionalities, the Nitecore Intellicharger series of chargers are widely appreciated as the ultimate charger for advanced vapers, perfect to charger safely all your 18650, 18350, 18490, 18500, 26650 batteries and more!